Death Comes to Auntie Norma. Photos and poster credit: Lucky Wench Productions. An interview with Catherine Wenschlag. 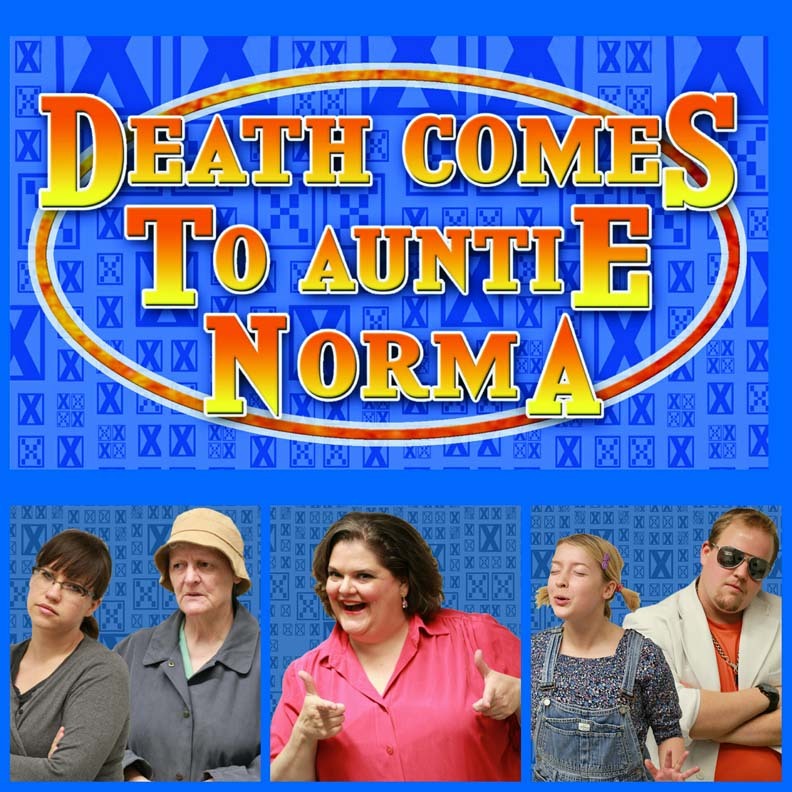 Death Comes to Auntie Norma… But seriously, Fame & fortune at any cost. Set in the 1980s, our show shines a light on the insanity of the American Dream as it changed from have a good life to living the high life. Sheila is a self made woman who will do anything to get ahead – including exploit her children. Your press release mentions that Death Comes to Auntie Norma explores “the perverted way society can reward the awful and punish the good”. How does the play do this? We live in a world where fame and fortune have become gods and people will do almost anything to attain them. DCTAN follows a family as morals and ethics get tossed to the side in pursuit of these gods – while the ethical people don’t fare so well. Why did you want to direct, act in, and produce Death Comes to Auntie Norma? In 2012, I was privileged to act in a workshop of the show at the ADFA One Act Festival where we did quite well – winning Outstanding New Work for Zack Siezmagraff and an Outstanding Performer award for myself. The audience was very receptive and I enjoyed playing Sheila so much I wanted another crack at it. The other roles (Producer and Director) just happened without me planning it … I’m still not sure how! It’s the dream of the main character – Sheila – to be on Family Feud. What is it about this show that epitomizes the realization of the American Dream for her? Family Feud was *the* game show to be on – and had a great payout! But mostly, her eldest daughter is a genius at the game so Sheila is certain they will win the fame and fortune she seeks if they could just get a shot at it. It’s a satire that doesn’t shy away from the less savory aspects of the characters. Ultimately we hope to make everyone laugh – and maybe think just a teeny, tiny bit. I’m grateful to everyone who was involved in the first production: Laura Raboud, Alex Mackie, Bonnie Ing, Brendan Fraser, and Brooke Leifso – as well as The Other Theatre for choosing it in the first place. We wouldn’t be here without them!